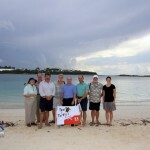 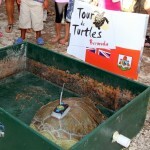 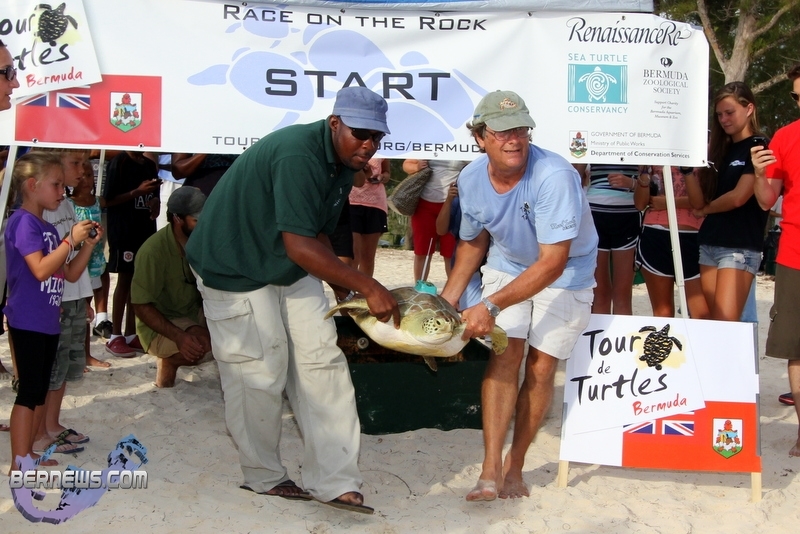 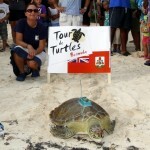 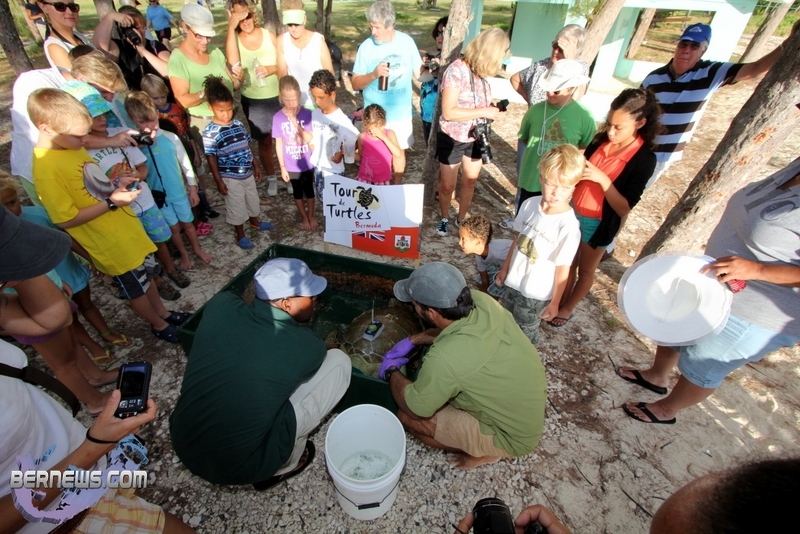 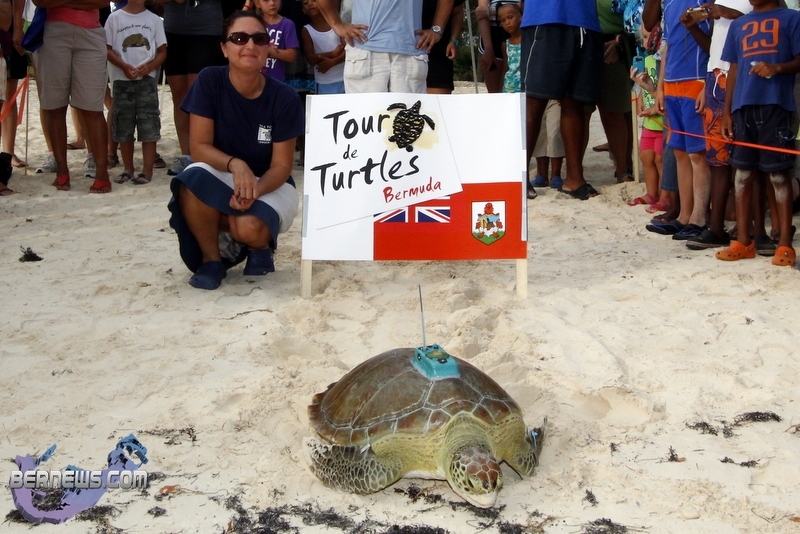 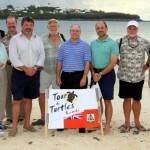 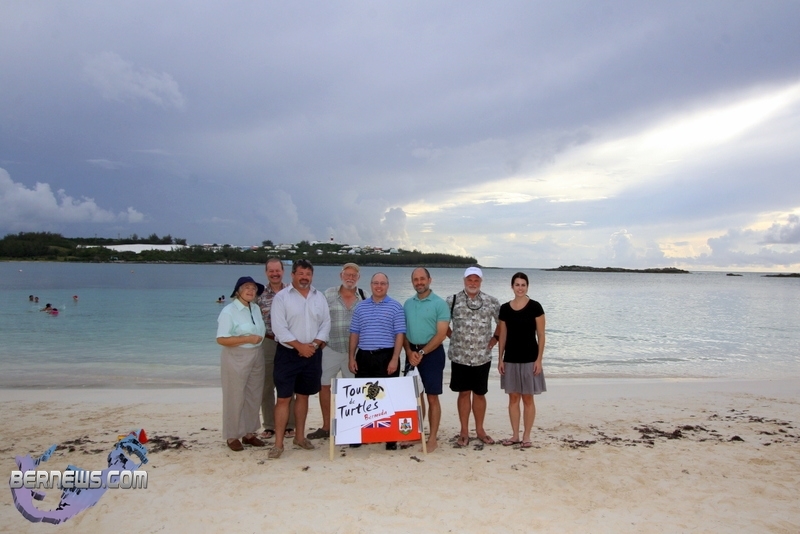 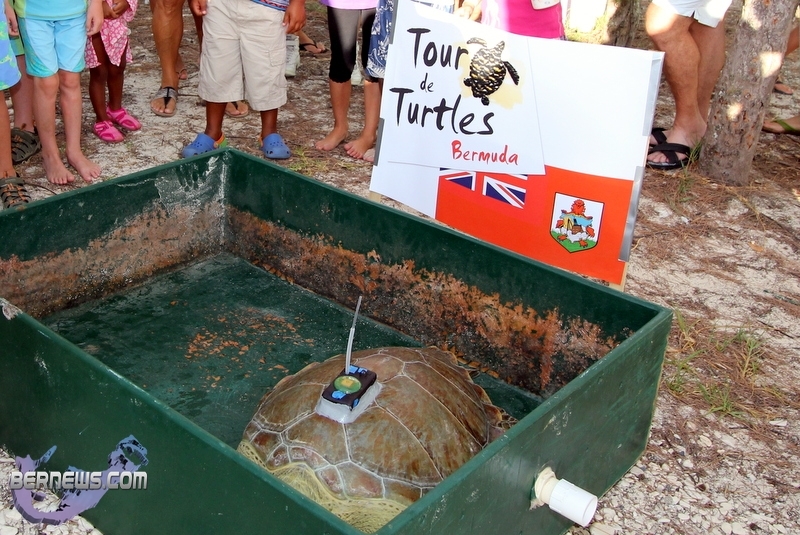 The “Tour de Turtles Bermuda: Race On The Rock” got underway this morning [Aug 14] with green turtles fitted with GPS satellite transmitters setting off on their three-month Tour de Turtles “race”. 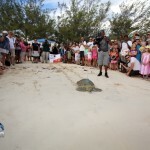 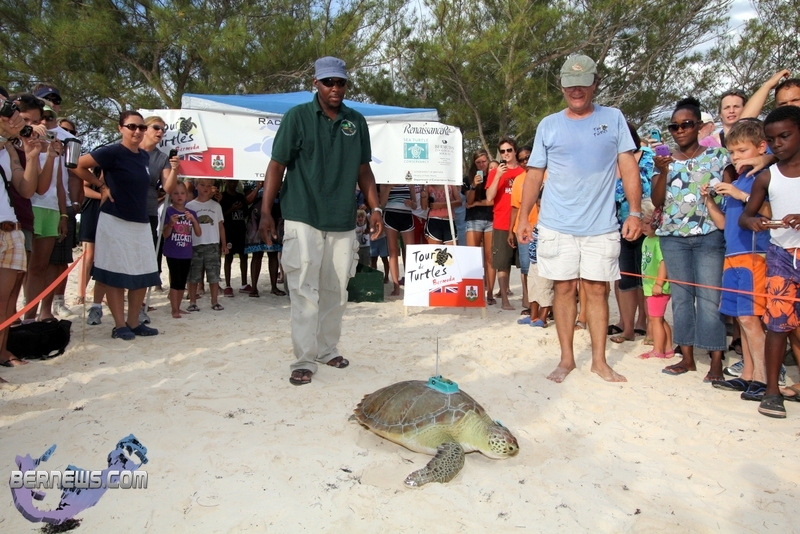 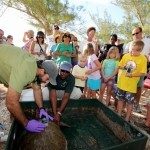 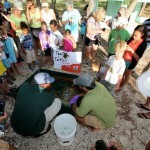 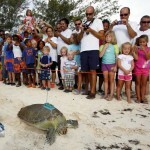 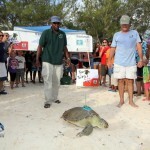 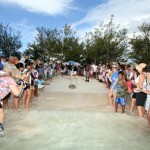 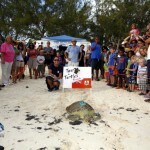 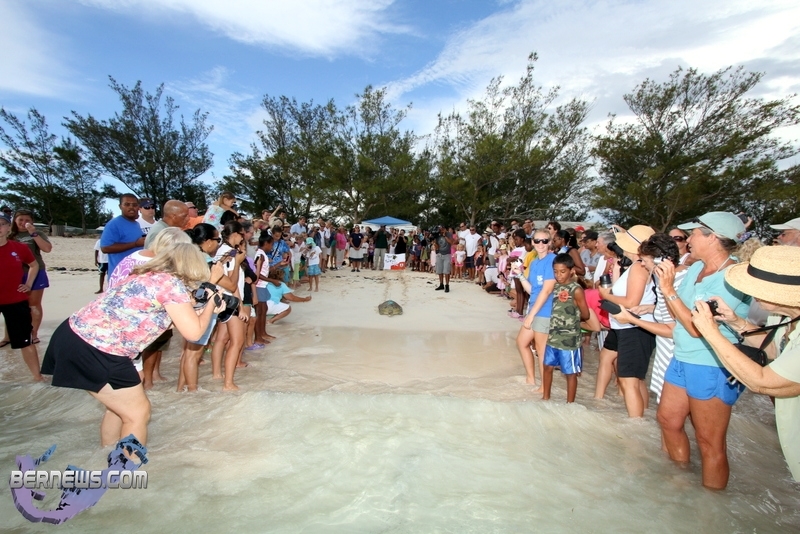 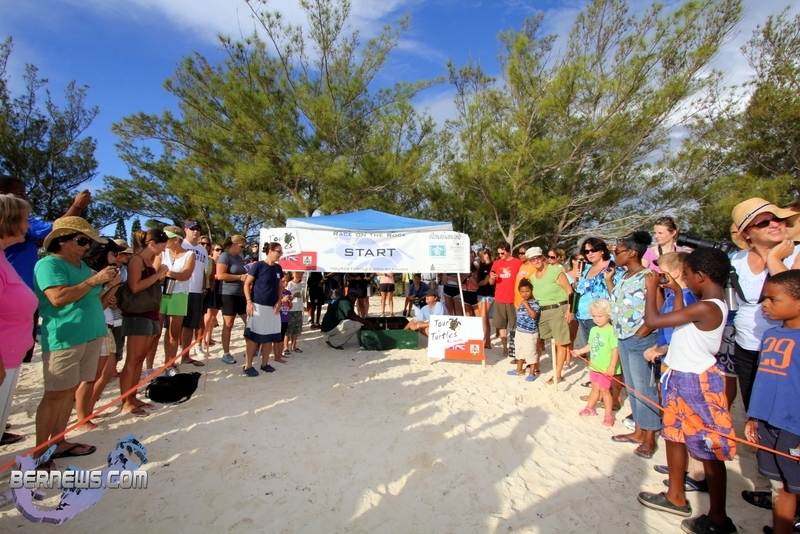 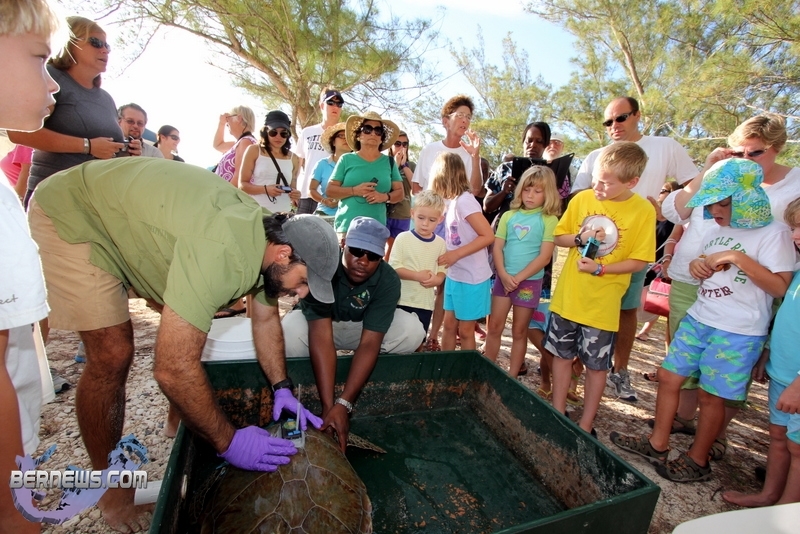 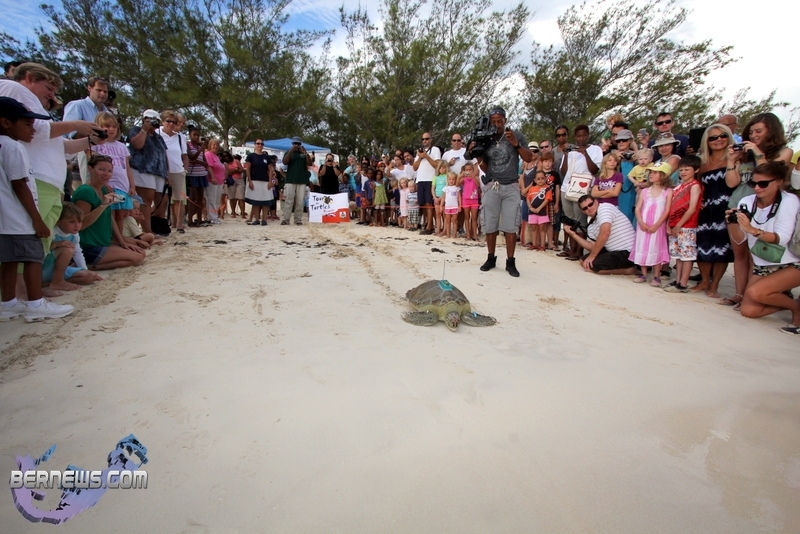 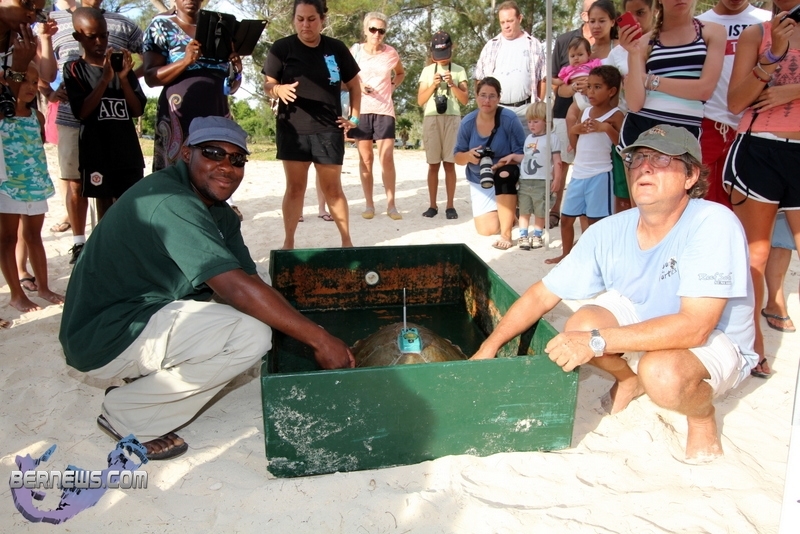 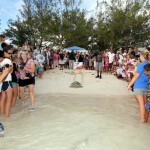 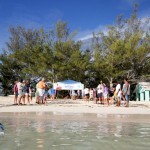 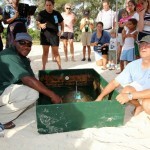 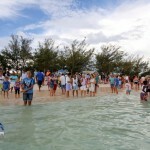 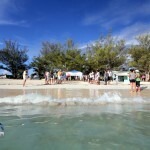 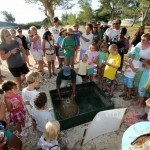 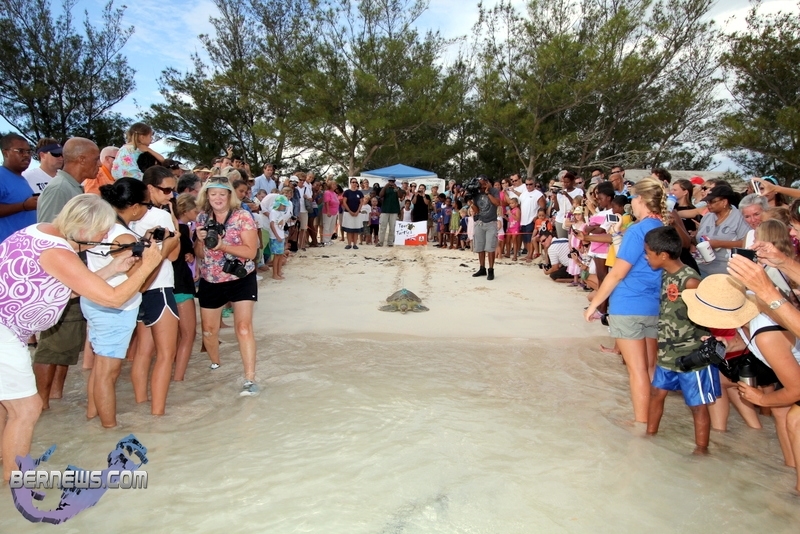 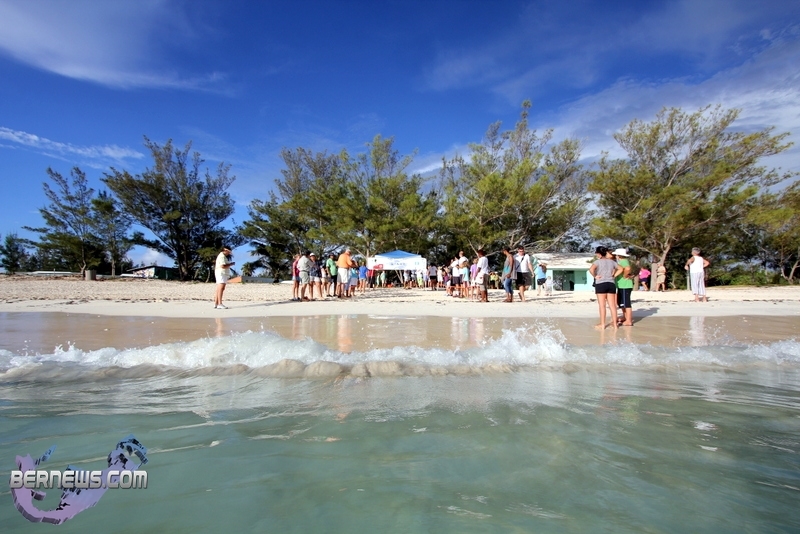 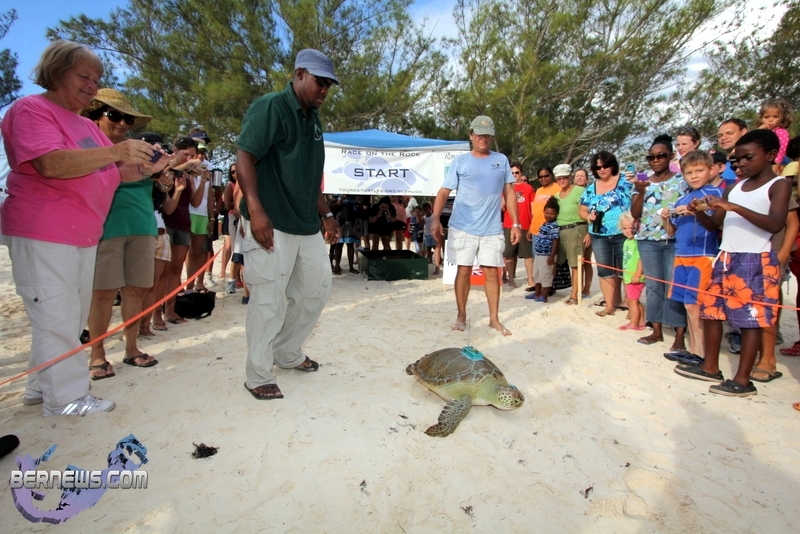 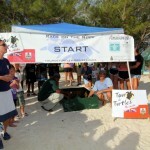 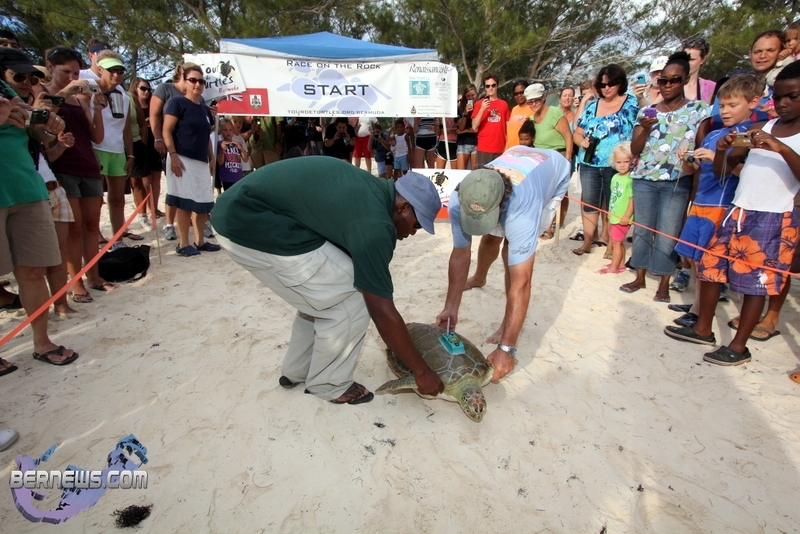 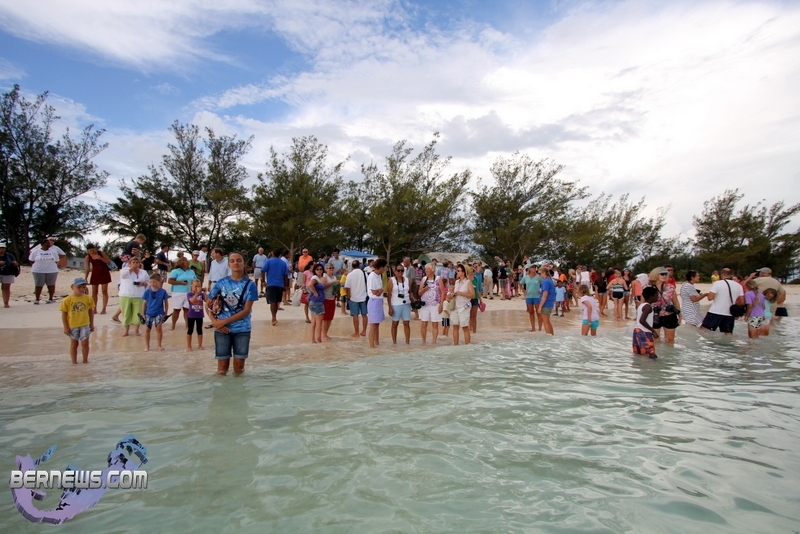 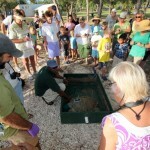 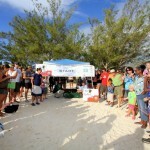 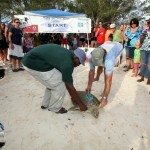 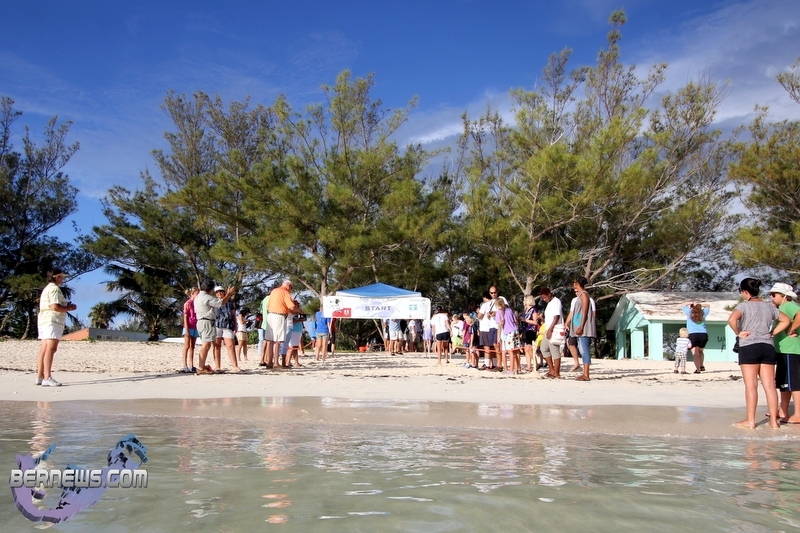 This morning marked the official start of the race with one turtle being released at Clearwater Beach in St David’s. 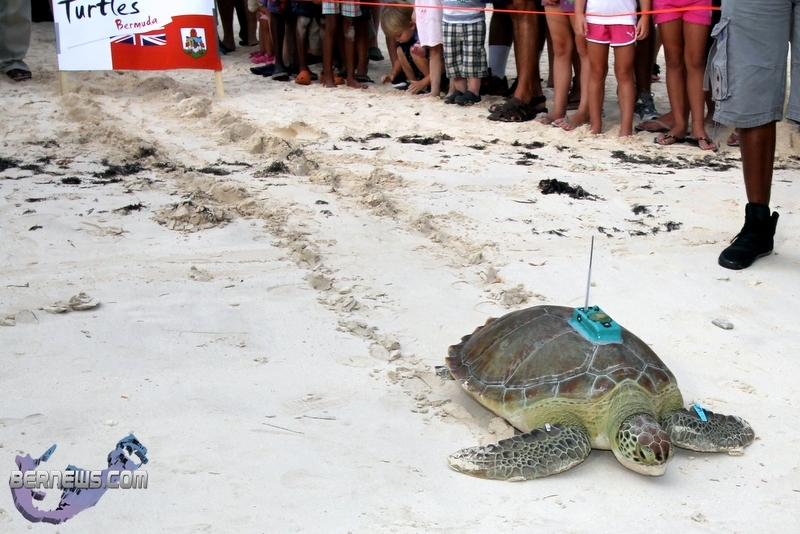 After having her GPS attached to her shell, “Fripper” made her way down Clearwater Beach and entered the water to begin her race while dozens of spectators watched. 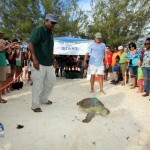 Sea turtles are among the oldest creatures on earth and have remained essentially unchanged for 110 million years. 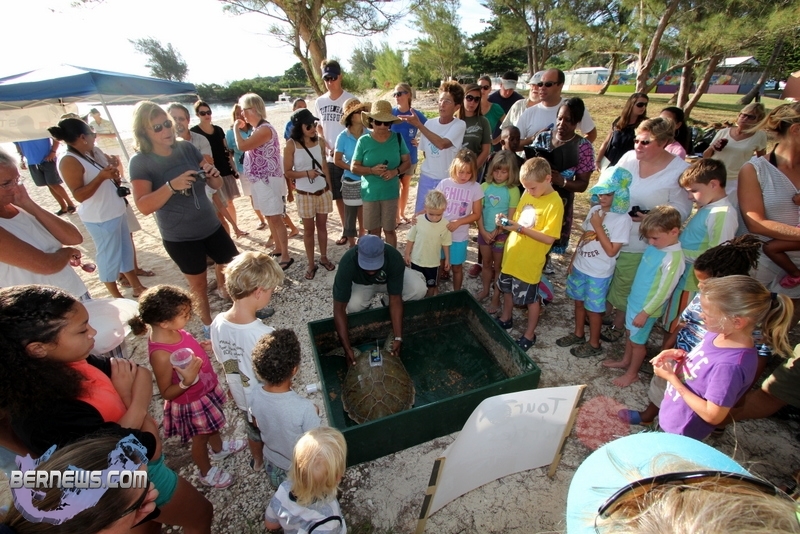 With as few as one out of 1,000 hatchlings surviving to adulthood, scientists are still trying to learn more about these mysterious creatures of the sea. Using satellite technology, scientists can discover more about sea turtle habits at sea and identify foraging and migratory patterns that may hold the key to their survival. 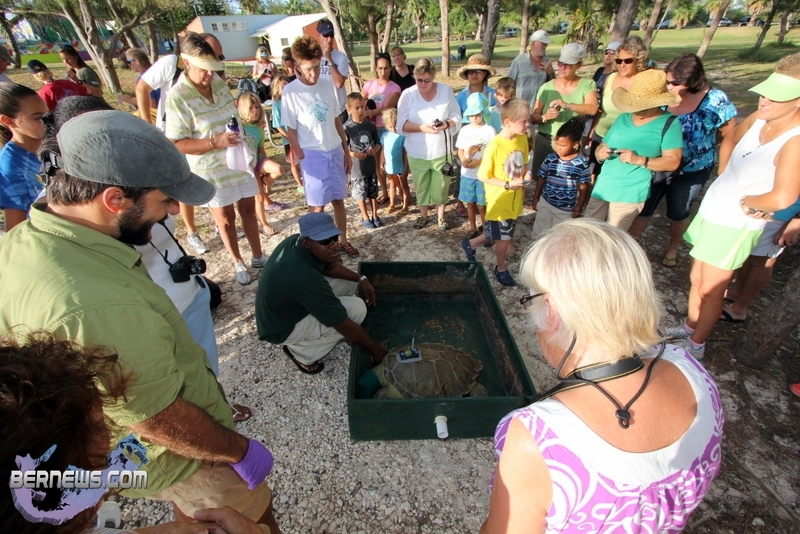 The video below shows Dr Ian Walker from the Aquarium; Dr. Emma Harrison, the Scientific Director with the Sea Turtle Conservancy and Stephen Weinstein from RenaissanceRe talking about this project. 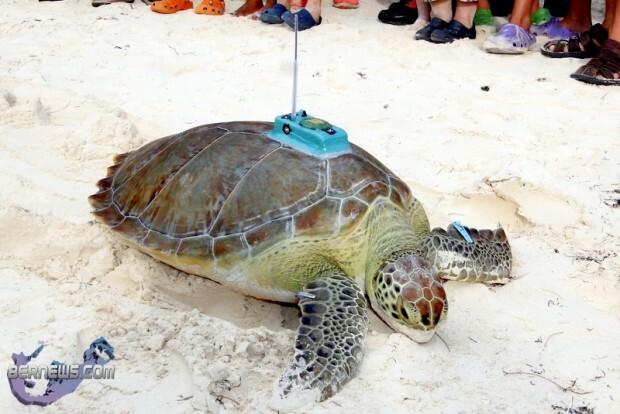 This knowledge helps researchers, conservationists and governing agencies make more informed decisions about sea turtle conservation methods and policies. 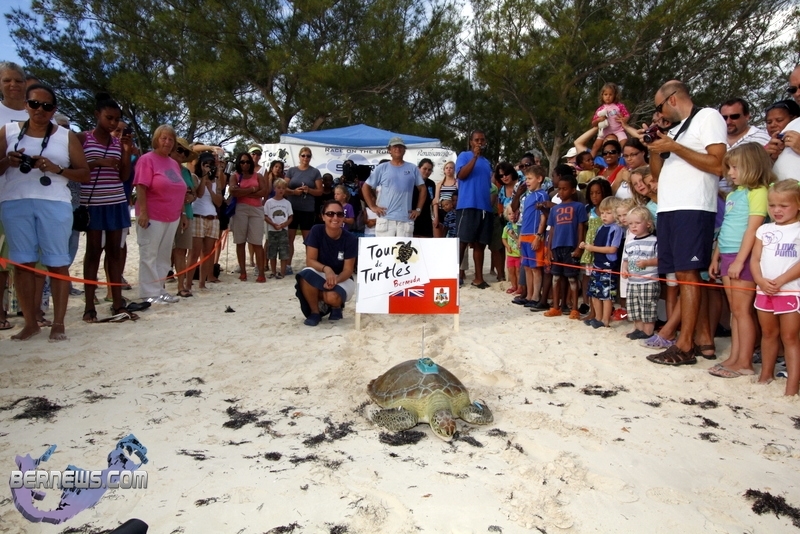 Visit www.tourdeturtles.org/Bermuda for more information. 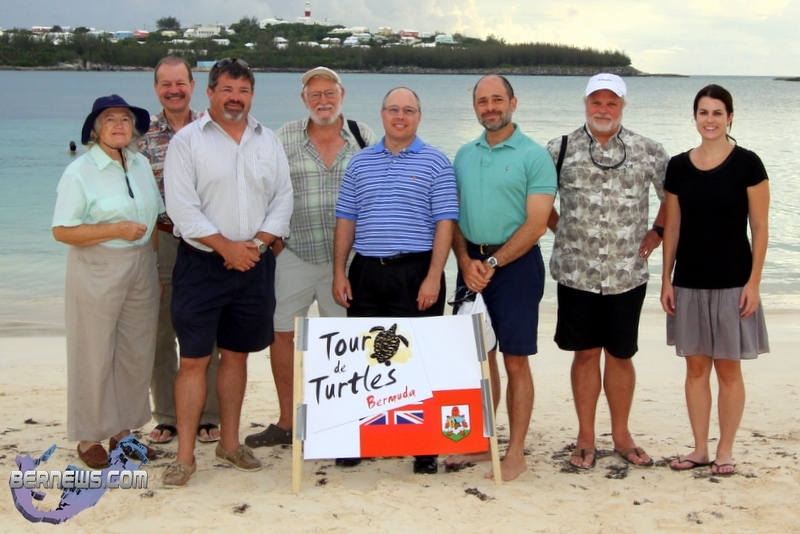 I have some questions. 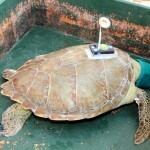 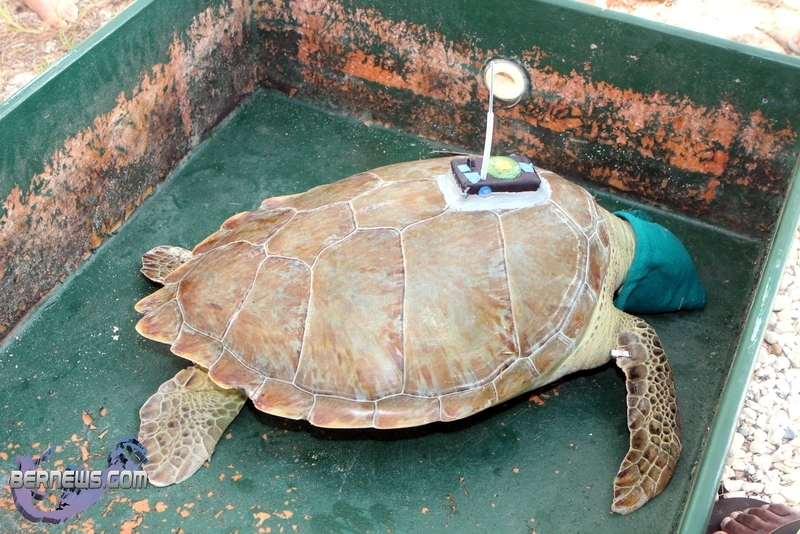 Its 2012, could we not have fitted the “participating turtles” with something a little more aqua dynamic? 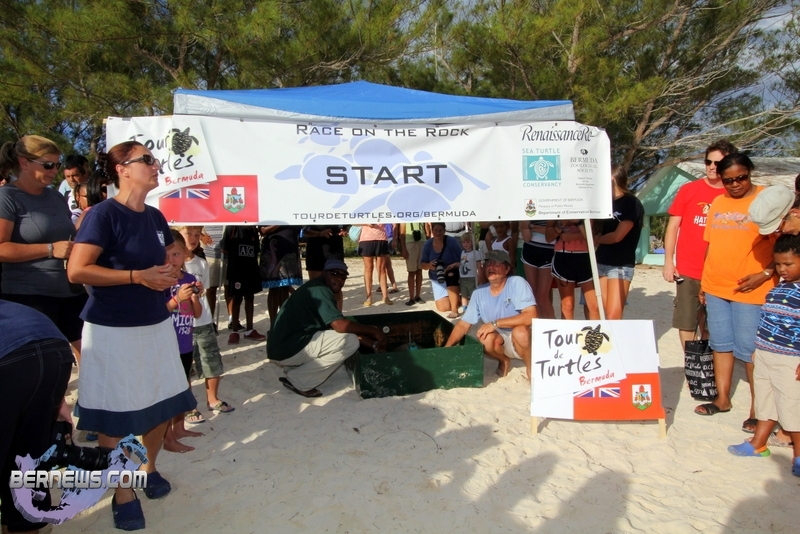 Its nice and all but really,its like a box epoxied to the shell and these “participating turtles” are “competing” on an international level. 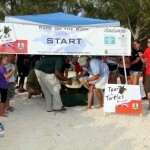 Could we not have equiped the turtles with lasers or torpedos to make the “competition” more interesting? 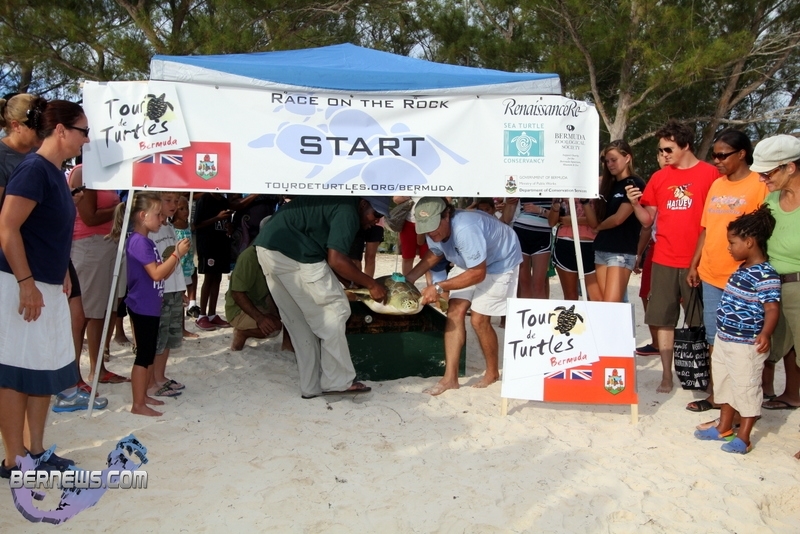 Did the “participating competitors” have to sign a waiver? 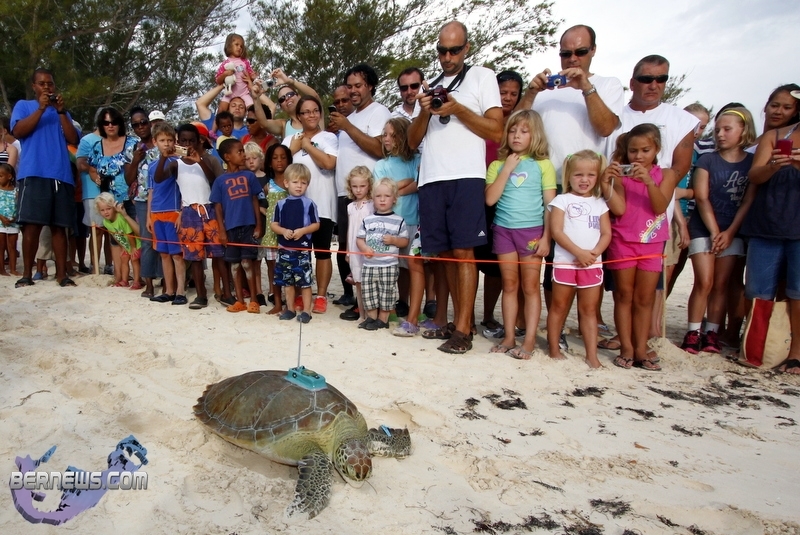 What do you do when little Mikey’s favorite “competitor” falls victim to natural selection? 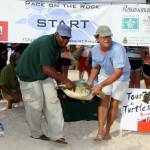 Is that grounds for disqualification? 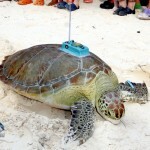 Can I get my own turtle, equip it with lasers, torpedos, GPS, name him Bowser and enter him in the next competition? 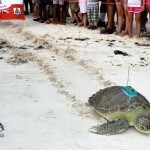 I’m guessing jet propulsion systems are out of the question….sorry lol but on a serious note this seems like a really good idea, researchers as well as the public can learn more while making it interesting.